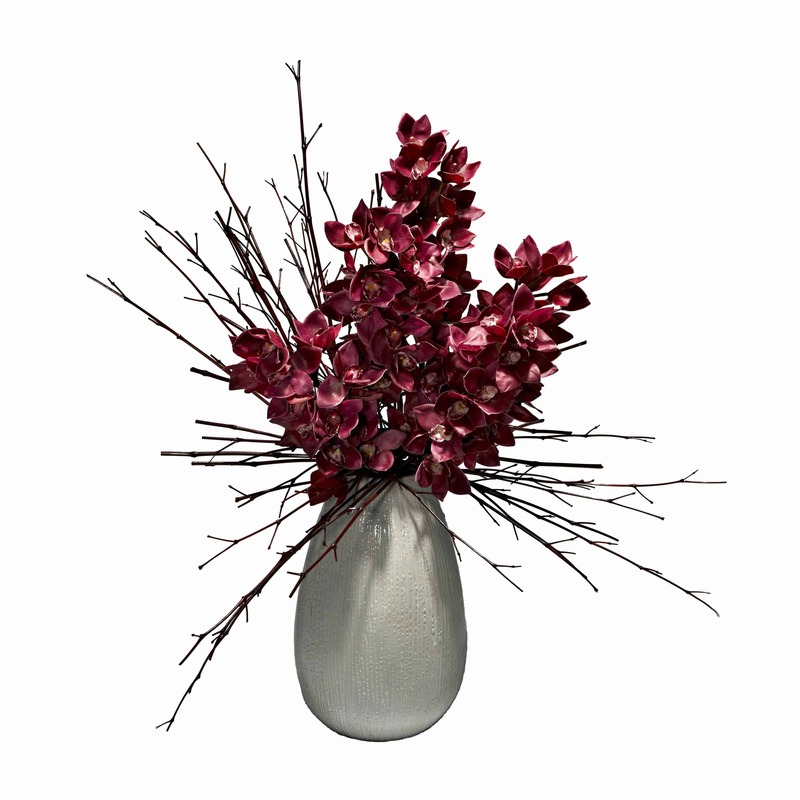 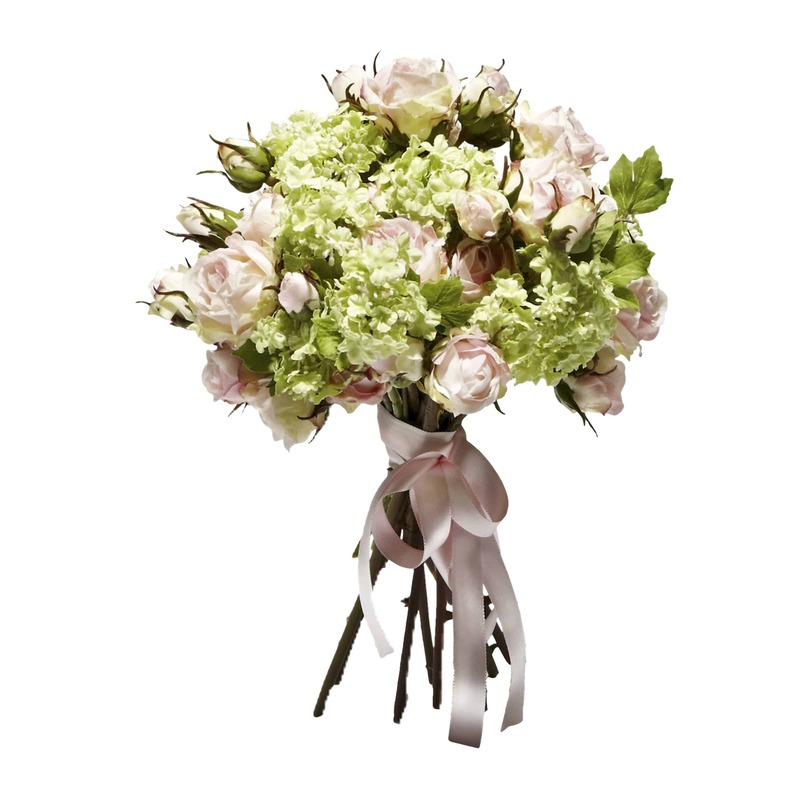 Designed using our natural looking Austrian and Ecuador silk roses, partially bloomed bud made with the highest quality silk. 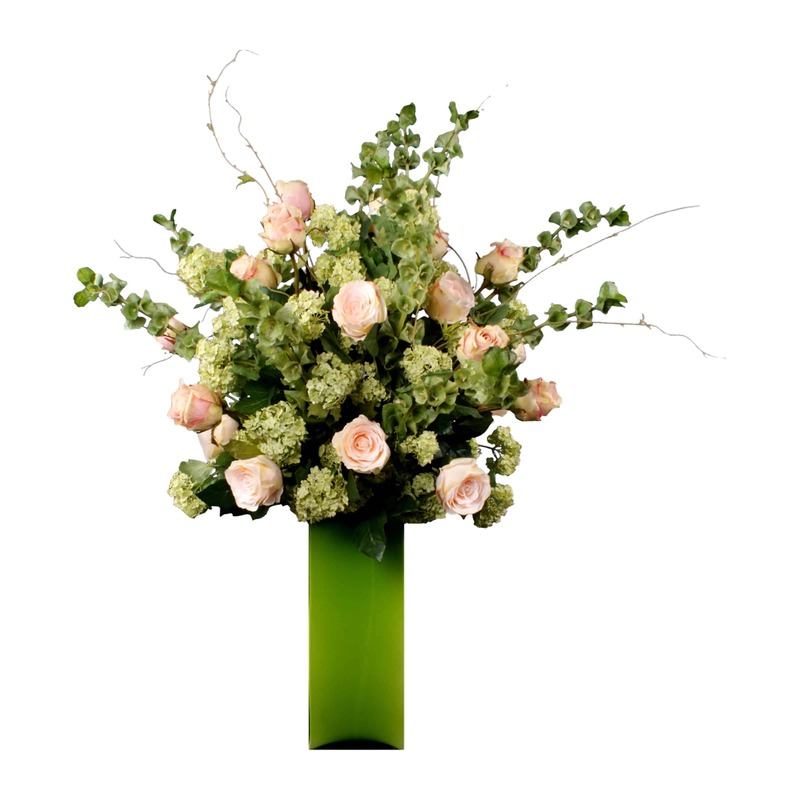 The dusty pink shades move outwards to the natural tones of cream as the rose would naturally look at this stage of bloom. 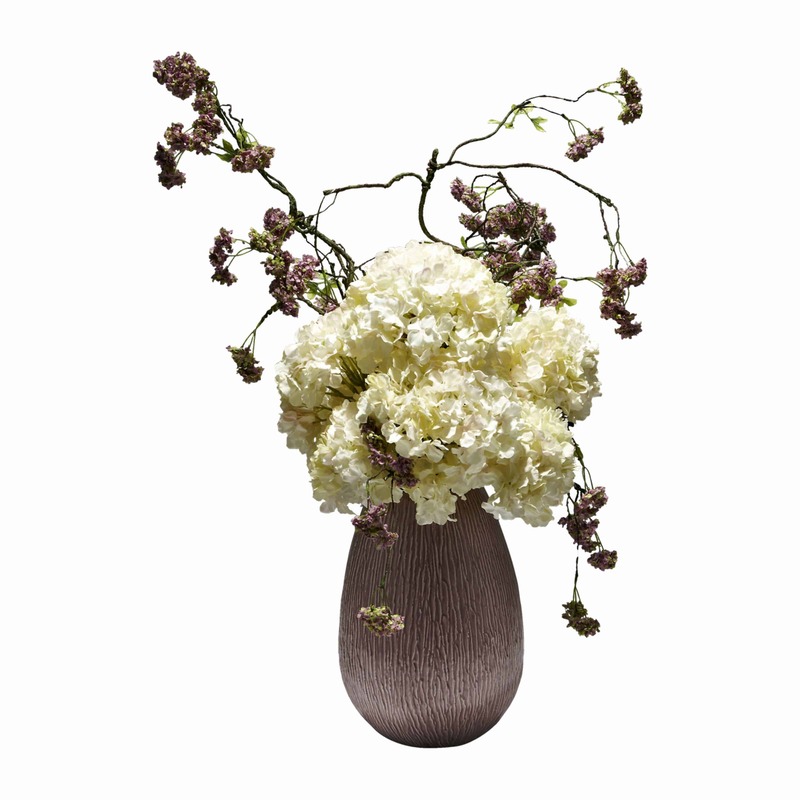 The green from the artificial Guelder rose and Bells of Ireland create a natural garden look. 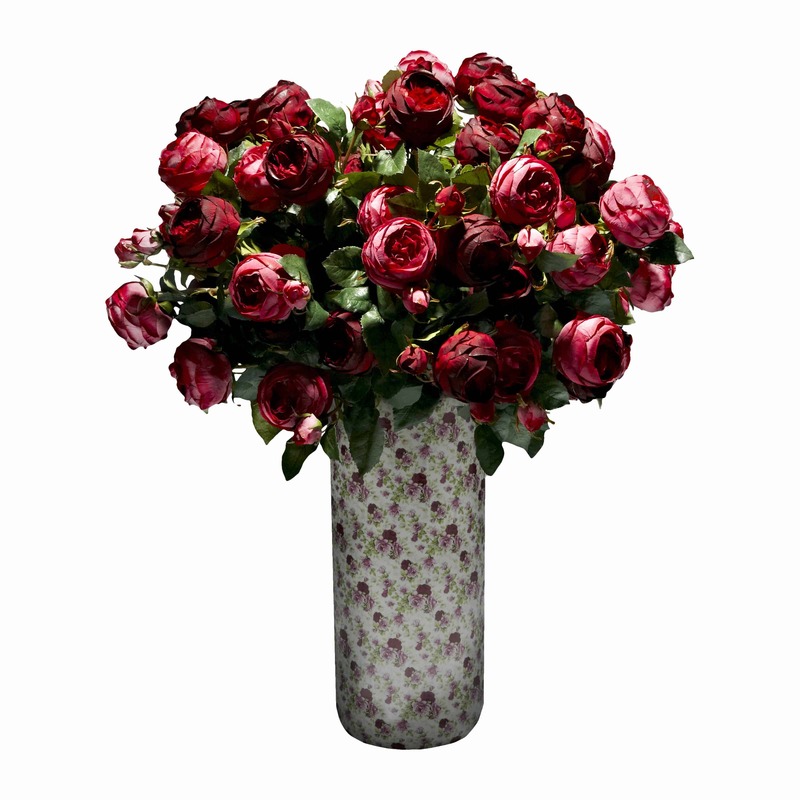 Arranged in a contemporary square green glass vase, our silk pink roses look really striking.